By the end of 2019, 66% of US health systems will offer digital self-scheduling and 64% of patients will book appointments digitally, delivering $3.2 billion in value and a competitive boost for health systems. Leading health systems are shifting away from the telephone for patient appointment scheduling Driven by patient demands for greater convenience and more control, US health systems are adopting digital patient self-scheduling tools to differentiate themselves competitively, improve efficiencies and enhance patient engagement and satisfaction. A recent Accenture survey shows 77 percent of patients think that the ability to book, change or cancel appointments online is important. 1 A rapid explosion in use of digital solutions for DIY appointment making will radically alter the US health system marketplace over the next five years. Accenture research predicts that by the end of 2019, 66 percent of US health systems will offer digital self-scheduling and 64 percent of patients will book appointments using digital tools. Nearly 38 percent of appointments will be self-scheduled— that’s almost 986 million appointments —creating $3.2 billion in value. 2 The consequences for late adopters could be severe. Research shows that the average time for a patient to complete a scheduling call is 8.1 minutes and agents transfer patient calls 63 percent of the time–far exceeding national crossindustry best practices for call handling. 3 Third party online self-scheduling services, which can enable patients to book appointments faster and get appointments sooner than by using the phone, position themselves between health systems and their patients and can drive patient volume to competitor systems. Digital self-scheduling tools are better than the phone – and leading health systems are taking note According to Accenture Health analysis, almost 40 percent of the top 100 US health systems and 10 percent of remaining US health systems currently offer the ability to digitally self-schedule some types of appointments. On average, a health system that offers digital self-scheduling provides the ability to self-schedule half of its appointment volume. Nationwide today, patients selfschedule 2.4% of appointments out of the roughly 11 percent of appointments that can be self-scheduled. Over the next five years those numbers will spike dramatically. Accenture research predicts that by the end of 2019, all of the top 100 US health systems and 55 percent of the remaining health systems will offer digital selfscheduling. On average, a health system that offers self-scheduling will provide the ability to self-schedule 80 percent of its appointment volume. Across the US, nearly 38 percent of appointments will be self-scheduled, while almost 60 percent of appointments will be able to be self-scheduled. Digital self-scheduling offers efficiency, value and differentiation Digital self-scheduling delivers significant financial and competitive benefits, helps maintain patient customer base, boosts operational efficiencies and improves organizational flexibility and agility. Adopting self-scheduling delivers value by enabling call center capacity to be reallocated and schedulers to perform additional and/or more complex activities. In 2019, 986 million appointments will be booked using self-scheduling tools, enabling health systems to reallocate $3.2B in scheduler capacity that year alone, based on average annual scheduler salary and productivity. By making general appointment scheduling available online, health systems can reduce excess capacity, expand scheduling hours and better allow for last minute appointments. The capability also provides healthcare transparency and patient control, both of which improve trust, loyalty and patient satisfaction. As more health systems jump on the digital self-scheduling bandwagon, adopting improved scheduling options in the context of new models of care delivery, the sophistication of these tools will continue to increase. Digital self-scheduling tools will also allow patients to assess eligibility and financial liability. Armed with the patient’s complete medical records, health systems will have the ability to provide a truly seamless patient experience on an endto-end basis, from appointment through treatment to follow-up and payment and beyond. By expanding the patient relationship online, providers can establish closer ties with patients that can ultimately improve their ongoing health and wellbeing. Today, health systems are being financially squeezed, patient volume is decreasing and hospitals compete to attract and maintain patients in local markets and across the country. Health systems trailing in adoption of patient self-scheduling tools could experience market share erosion over the next five years, as competitors that offer convenient self-scheduling create a digital buzz among patients. While the penetration of self-scheduling tools will quickly reach market maturity, the impact of this digital disruption could last much longer. Consequently, the need to remain competitive in the health marketplace virtually mandates that health systems adopt self-scheduling as rapidly as possible. In the last half of the 20th century, the United States made impressive strides in ensuring the health of our children. Breakthrough medical research resulted in vaccines for many childhood diseases. Public health programs educated parents about the importance of these vaccines and state and city laws went into effect requiring immunizations for children to enter school. The good news is that our kids now are much healthier, and diseases such as polio and diphtheria, which once plagued children, have essentially been eradicated. However, we still have strides to make in improving one of our children’s most basic needs — eye health. Children approaching school age should begin having an annual eye exam by a licensed eye care professional just as they have regular physical and dental check-ups. Parents can’t rely on the vision screenings given in schools or even in pediatricians’ offices to really know what eye problems their children may have. After all, kids don’t know if their vision is off, because it’s all they’ve ever seen. 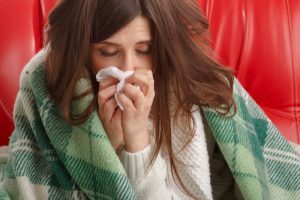 While childhood diseases of the body — measles, mumps, etc. — are well known, impairments affecting the eyes are less so. Case in point is amblyopia. Are you aware of it? Or how it could affect your child? Amblyopia is a vision impairment that results from abnormal visual development in infancy or early childhood and can result in partial or complete loss of sight in the affected eye. What medical research has shown is that the brain favors one eye while not stimulating, or even ignoring, the other — which is why the condition is often incorrectly referred to as lazy eye. Amblyopia is the leading cause of monocular blindness in children. The sad statistic is that amblyopia affects up to 5 percent of the population. If not detected and treated within a specific period of childhood, usually by age 7, it can lead to permanent vision loss. Common treatments are surgical correction of the eye muscle imbalance, eyeglasses or contact lenses, LASIK surgery and the throw-back approach of an eye patch over the dominant eye to force the weaker one to improve. A research study for the Vision Council of America featured on the Vision Impact Institute website delved into the question of the better method for screening children in the years when they are most vulnerable to amblyopia — right before starting their first year of school. — Vision screenings performed by nurses, pediatricians or non-medical volunteers and used to identify children at-risk for vision issues. The study found that the comprehensive eye exams would result in 51 percent more children receiving successful treatment for amblyopia by age 10, ultimately resulting in successfully treating 33,000 more children. Yes, it’s more costly to provide universal access to eye exams for all American school children. Vision screenings are less expensive but not as effective, according to the Vision Council of America study. Kentucky set the standard for child vision care when it became the first state to enact a law requiring all entering public school or preschool to have a comprehensive eye exam by an optometrist or ophthalmologist. Two additional states, Missouri and Illinois also adopted these high standards. And this month, the Every Student Succeeds Act was passed by Congress and signed into law by President Obama. This provides block grants to states, which will help non-profit vision organizations work directly with school districts to benefit students in need. Regardless of where we live, it remains the responsibility of parents to take care of their children’s eyes. The comprehensive eye exam by a licensed eye care professional remains the best option for doing all that we can to ensure the vision health of our children. Parents should make sure their kids see the eye doctor annually, just as they do for the pediatrician and dentist. على الطبيب الاشتراك بحزمة الأدفانس بلاس السنوية. يحصل الفائز على جائزته بعد مرور ال45 يوم التجريبية الإشتراك الطبيب. Posted on December 26, 2017 December 26, 2017 Categories BlogsTags #blood #trakMD #doctors_Lebanon #dentists_lebanonLeave a comment on A new solution by trakMD that could potentially save lives! 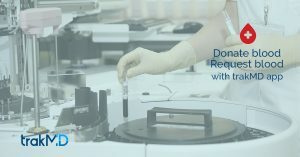 Cholesterol screening can be performed by a blood test. People with high cholesterol level in blood are at risk of developing heart diseases. Thus, it is important to have a routine cholesterol check to make sure that your cholesterol level in blood is within normal range, and if not, a timely and proper treatment plan is followed. Pap smears are samples of cells taken from the cervix of women to look for a possible growth of cancerous cells indicative of cervical cancer. Pap smear may be referred as abnormal but may not mean that a woman has cervical cancer. Some organization recommend HPV (Human Papillomavirus) screening for certain women alongside the pap smear. Pap smear is recommended for sexually active woman under the age of 65. Breast cancer can be detect by mammography or x-ray imaging of breasts. Mammography screening is recommended every 1 – 2 year after age of 50. This test is done in conjunction with a physical examination of breast that can be done on a monthly basis. All adults should be screened for diabetes starting at age of 45. Schedule an appointment with your doctors to discuss what screenings and exams you need and when you need them. trakMD allows you to find & book doctor based on specialty, location, consultation fees, gender, availability, & patient reviews. With +10,000 verified doctors & dentists in Lebanon are listed, trakMD has become #1 site for finding a doctors & dentists in Lebanon. According to the American Heart Association, a reading of 130 for blood pressure is now deemed high compared to earlier consensus on 140. 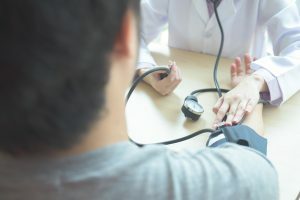 This change in standards means that around 46% of adults are now identified as individuals having a high blood pressure, while any reading between 120 and 129 is now considered an “elevated” blood pressure. This change has been outlined to help in earlier intervention and encourage taking measures to control blood pressure at sooner stages. 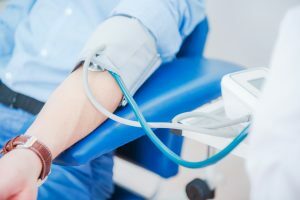 High blood pressure, also known as hypertension, can be the main factor in developing two leading causes of death in the world, namely: heart disease and strokes. If you are in doubt, try to seek health consultation early enough. Finding the right doctor at a time of your choosing can be difficult sometimes. 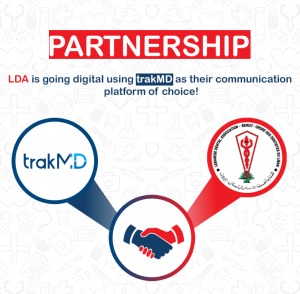 In Lebanon, finding and booking a doctor has become much easier with trakMD App. trakMD App allows patients to find & book doctors with the click of a button 24/7; read every doctor’s profile and patients’ reviews, receive appointment reminders; manage their health record and that of their family, and directly connect with their doctors online with the option of sharing photos, lab & imaging results, and more.